The Super Bowl has come and gone and no matter who you rooted for, it left some cool movie trailers in its wake. Like the commercials, some were better than others. We go through the list of what came out and gauge interest. 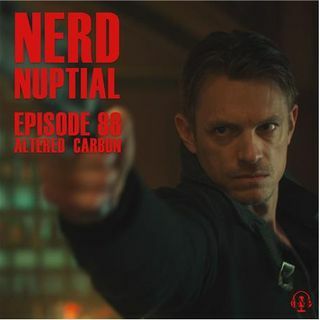 The main topic of the episode is Netflix's "Altered Carbon". Based on a novel by Richard K. Morgan, this cyberpunk show asks about when your body isn't your own. While this show overall was quite ... See More messy, the concept was interesting enough to finish. Listen to our take on the morality, politics, and social issues of this sci-fi program.